On Wednesday, December 16th, 2015 at approximately 1:48 a.m. Dubuque Police responded to 2545 Dodge Street, Apartment D, on the report of a robbery. The victim, DuVaun A. Goodlow, 20, reported he answered his door expecting an anticipated visitor, and was instead robbed at gunpoint by 3 suspects. The suspects stole Goodlow’s wallet (containing cash, assorted credit cards and credentials) and his cellular phone. Goodlow was not injured. The investigation led to the development of 2 suspect identities and an address of 701 Auburn Street, Room 222 (Aitchison Hall at the University of Dubuque). There, police located resident Brandon A. Finley, 18, and Quan K. Jackson, 18, of Milwaukee, WI. 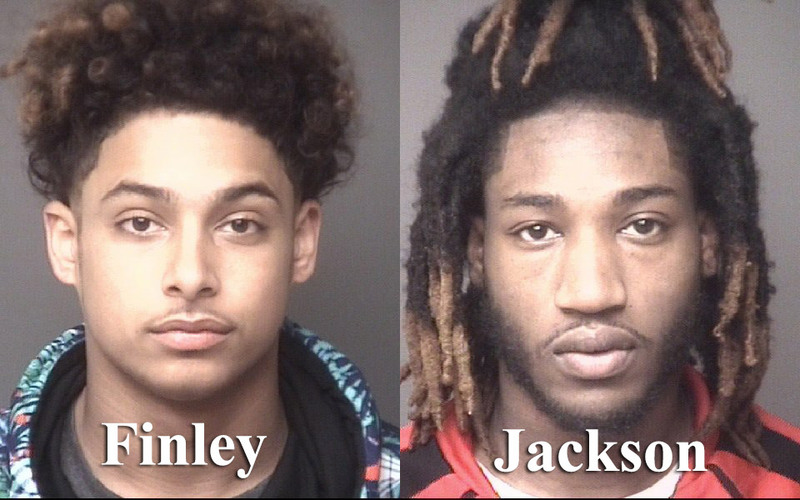 Based on recovered/observed evidence and other probable cause, Finley and Jackson were both arrested and charged with 1st Degree Robbery. Jackson was also charged with Possession of Marijuana and Possession of Drug Paraphernalia. 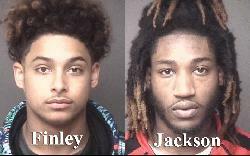 Both are being held in the Dubuque County Jail – Jackson on $11,300 cash bond and Finley on $10,000 cash bond. Despite the likely involvement of a 3rd suspect, the general public is not believed to be in immediate danger as it pertains specifically to this incident, which does not appear to have been completely random in nature. First Degree Robbery is a Class B Felony punishable by up to 25 years in prison. Possession of Marijuana is a Serious Misdemeanor punishable by a fine between $315 & $1,875 and imprisonment not to exceed 1 year. Possession of Drug Paraphernalia is a Simple Misdemeanor, punishable by a fine between $65 & $625, and up to 30 days imprisonment.